Samsung has undoubtedly secured its top-dog position in terms of current gen mobile SoC performance. The latest Exynos 7420, powering the Galaxy S6 and S6 edge has proven itself more capable than anything Qualcomm or Mediatek currently have to offer. But, in today's fast-paced mobile realm tides can shift almost instantly and Samsung doesn't intend to let its competition catch up. A few weeks ago, we heard a rumor, that the Korean giant is currently hard at work on a custom CPU core design of its own. 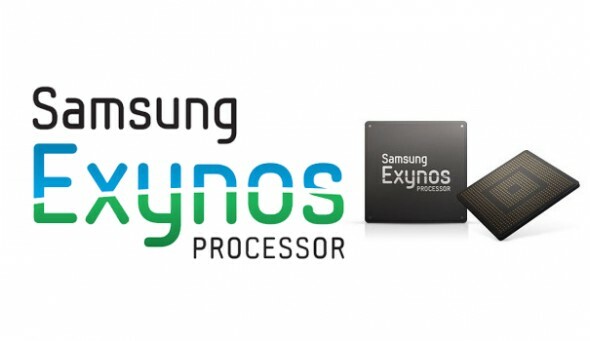 This is, actually the next logical step in evolving the company's own Exynos chipset family, as, even though, the Exynos 7420 is manufactured with proprietary Samsung technology, it is still based on standard Cortex A57 and A53 cores. The new silicon, codenamed Mongoose, is said to employ an entirely different architecture altogether and according to some preliminary benchmarks and estimates, in churns out 45% better single-core performance than the Exynos 7420. As far as we currently know, the 64-bit Mongoose chips should cover an ARMv8 instruction set and offer clock speeds of up to 2.3 GHz. There is, however, a lot more that contributes to a mobile chip's performance and proper heat management is another key factor. Samsung has led us to believe that Mongoose will be build using 14nm FinFET technology, just like the current Exynos 7420. In other words, Samsung, needs to really implement things right, or else it might risk causing another overheating fiasco, like the one still plaguing the Qualcomm Snapdragon 810. Another interesting rumor concerning the upcoming chips is that Exynos M1, which will supposedly be the first Mongoose chip, might employ a Heterogeneous System Architecture. This would be an exciting step forward for mobile tech, as the concept of employing GPU processors for genera-purpose calculations has really caught on lately. Furthermore, Samsung is, in fact, part of the HAS Foundation, along with other major industry names, like AMD, ARM, Imagination Technologies, MediaTek, Texas Instruments and Qualcomm, which makes the leap to heterogeneous computing all that more plausible. As far as availability goes, industry source estimate that the first Mongoose chips might enter into mass production in 9 to 12 months. If Samsung sticks to its standard release schedule, this could mean that the company's next flagship device, presumably the Galaxy S7, will be the first to use the novice architecture. lol USB type C Metal unibody Custom CPU Custom GPU 5.2" screen 14nm LPP 14nm RAM and Memory More efficient display More material design These are all possible improvement.